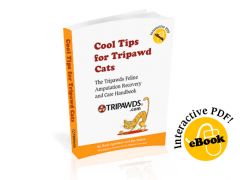 Do you have time to help veterinary researchers improve the lives of Tripawd cats and dogs? We hope so! 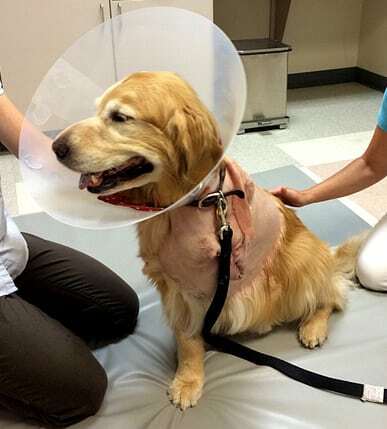 Please read on to find out how your cat or dog’s experiences after amputation can help vets determine the best ways to treat pre and post-operative pain in animal amputees. Sunday, March 15 March 28 at 12midnight Pacific time. “Phantom limb pain and phantom limb sensation represents unpleasant manifestations of an abnormal function of the nervous system that continue providing sensory information from a part of the body that is not there anymore. In human medicine up to 80% of patients experience at some point this kind of chronic pain which has a negative impact on their quality of life. 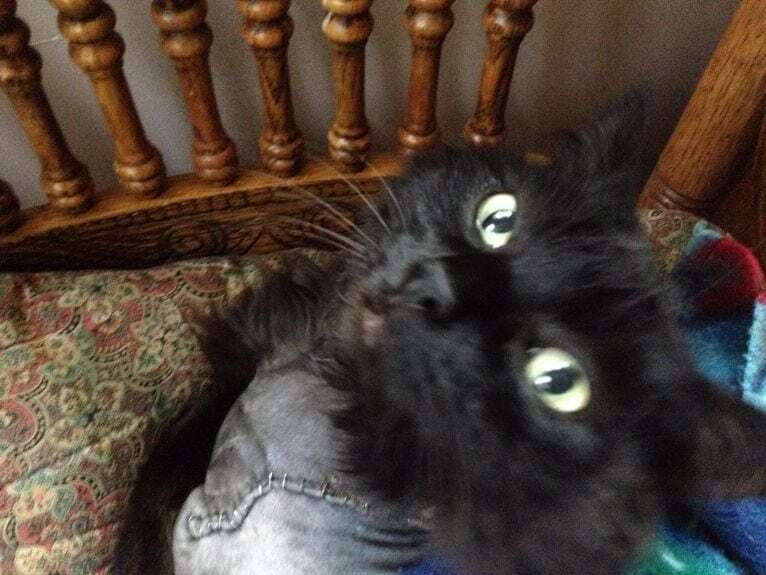 Tripawd Kitty Mona meows with appreciation. Animals and humans experience pain in the same way with only a minor even though crucial difference. Our furry fellows do not express themselves with words. For this reason phantom limb pain might go undetected if we do not look for it observing our pet´s behavior. Our knowledge as veterinarians is strongly limited by the absence of scientific data on the frequency of phantom limb pain, its clinical manifestations and possible risk factors associated to its occurrence. This lack of knowledge ultimately impacts our work and the quality of care that we can offer you. In order to fill this gap between what the real situation is and what we know about it, we developed an online survey that you can complete through the following link. We designed it as a consult that you could have with a veterinary specialist on pain management and it will take about 30 to 45 minutes. today through Sunday March 15 March 28. 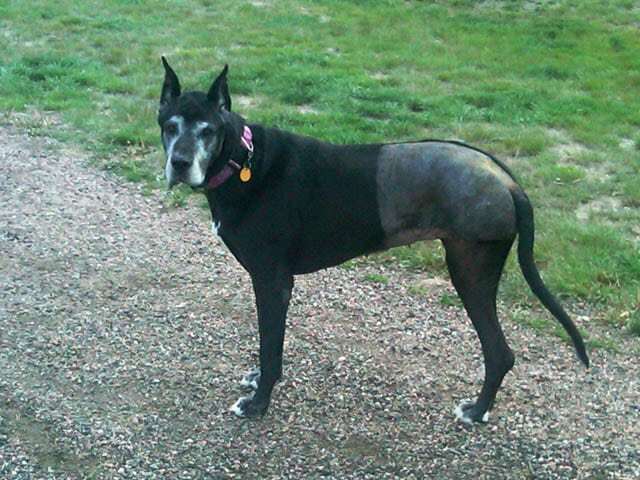 Great Dane Tripawd Izzy appreciates your surveys. Survey Results: Who’s Doing Chemo? Who’s Not? Oooh I forgot to say that yes, it’s for past and present Tripawds. Thanks for asking and taking the survey M! I’ll be taking also in the next few days on behalf of Happy Hannah. Thanks to Dr. Rosati for striving to find solutions to phantom limb pain and how to avoid it, or at least recognize it and treat it. 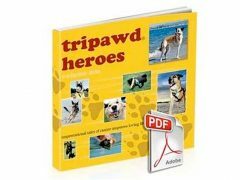 And a “tip of the hat” to Tripawds.com for being a “go to” source for valuable “real life” experiences of tripawds and their humans. An INVALUABLE reservoir of information is found on this site. I’m glad Veterinarians and Researchers are seeing it as such. Thanks to all for the opportunity to feel like we can make a difference in helping dogs and cats facing this ordeal in the future. I do want to participate in your survey. My concern is that our little Lolli was rescued from the streets of So. Central LA and found to have multiple pelvic fractures, a fracture of her left femur and blind in her left eye (cataract). We fostered her for a 4 weeks before her surgery to help her gain some weight. She weighed 6 pounds at the time of her rescue. There was no recommendation for any pain medication. Please bear this information in mind as you review my attempt to answer your questionnaire. Our observation of her that leads us to think she is having phantom pain is that she licks the area around the stump to the point that she has spasms.